The second edition of the Australian Men’s Shed Association Men’s Shed Calendar is about to hit the shelves, and in 2019 we’re showcasing “Shed Life”. Men’s Sheds from around the country submitted photos that represented life at their Men’s Shed. Click here to view a low resolution copy of the calendar. 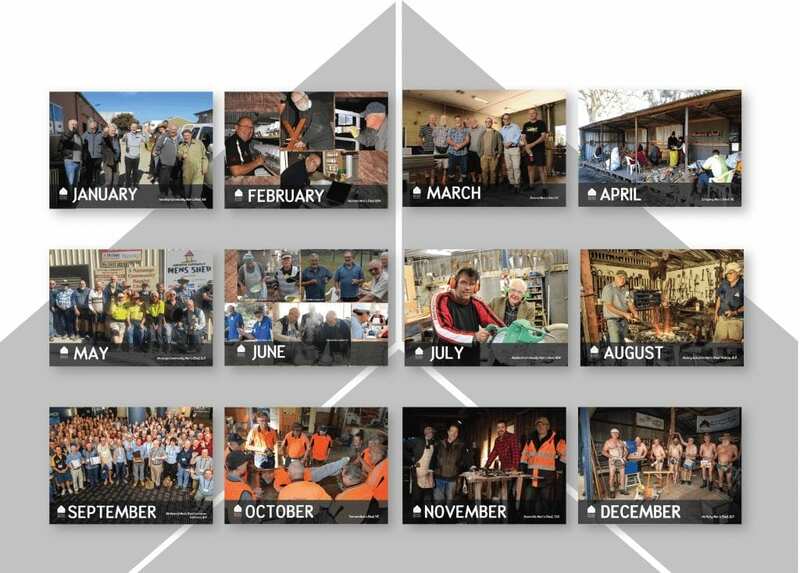 All AMSA member Men’s Sheds will receive a copy of the 2019 Shed Life calendar in the coming months. Featured Men’s Sheds will receive an additional five copies. Pre-order additional calendars to sell or share with shed members, supporters and sponsors. Additional calendars will cost $2.00 per calendar (plus postage), with a recommended sale price of $5.00. Complete the AMSA 2019 Calendar Order Form and return to amsa@mensshed.net. Orders close on Wednesday 24 October 2018. For enquiries or more information, please contact AMSA on 1300 550 009 or at amsa@mensshed.net.